CoolSculpting is a non-invasive fat removal technique that provides results comparable to liposuction, but with no incisions, no anesthesia, and no downtime. CoolSculpting is used to remove trouble fat areas that are resistant to diet and exercise. The non-surgical procedure is not intended as a weight reduction program and is better suited for people who are near their ideal body weight and do not want to go the route of traditional liposuction. View our Charlotte CoolSculpting before and after photo gallery. CoolSculpting® is a safe, effective non-surgical procedure to reduce fat in common trouble areas that tend to be resistant to diet and exercise. It is not intended as a weight-reduction program but better suited for people who are near their ideal body weight and do not want to go the route of traditional liposuction procedure. Individuals who are seeking reduction of localized fat deposits for specific areas of the body such as “love handles,” flanks, “bra rolls”, fatty male breast enlargement, abdomen and inner and outer thighs are generally good candidates for CoolSculpting. The CoolSculpting procedure is the only FDA-cleared non-surgical fat reduction treatment that uses controlled cooling to eliminate stubborn fat. During the procedure, a non-invasive applicator delivers precisely controlled cooling to the treatment area to specifically target underlying fat, leaving surface skin tissue unaffected. When fat cells are exposed to extreme cold, a process of natural removal is triggered, gradually reducing the thickness of the layer of fat. These targeted cells crystallize, break down and are then eliminated through the body’s natural detoxification processes. Up to 22 percent of fat is reduced per treatment, per area. Treatments can be repeated as needed. Patients will notice results after the first treatment, and can attain further fat reduction with additional treatments. Dr. Graper can recommend an appropriate number of treatment sessions based on your needs and personal goals. The procedure takes about an hour per area treated. 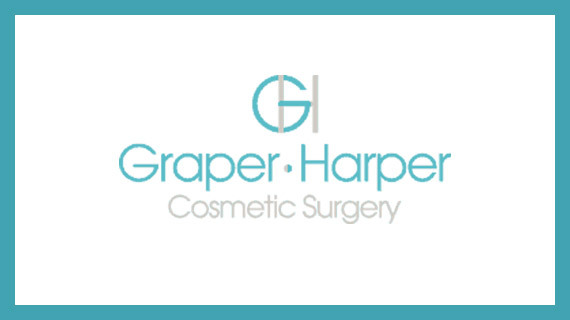 Graper Cosmetic Surgery in Charlotte offers DualSculpting, providing treatment in two areas simultaneously thereby reducing your treatment time by half. Most patients are able to rest, check email or read while undergoing treatment. There is minimal to no discomfort, no downtime, no recovery and, because CoolSculpting is non-surgical, most patients can resume regular activity immediately after treatment. Some patients may experience minor redness, bruising, tingling, numbness or discomfort after treatment, but this will quickly and completely disappear. Results look natural and can be seen as early as three weeks after treatment, with the most dramatic results in approximately eight to 12 weeks post-treatment for most patients. The results are long-lasting and sustainable with a healthy lifestyle. The results are permanent as long as the patient’s body weight is maintained. Treatment with CoolSculpting is often motivation for patients to take care of themselves and stick with healthy diet and exercise habits. We are so confident in the results our patients receive with CoolSculpting that we offer this guarantee. If photographic evidence of improvement is not seen after the first treatment and your weight is maintained, you will receive a second treatment in the same area free. If you’re interested in CoolSculpting treatment in Charlotte, please contact Graper Cosmetic Surgery for more information. Am I a good candidate for CoolSculpting in Charlotte? CoolSculpting is a fat reduction procedure that is best for individuals who have unwanted fat in specific areas. At Graper Cosmetic Surgery the consultation is the best time to ask if you are a good candidate for CoolSculpting. As treatment begins, you will typically feel a strong, cold feeling on your skin and in certain areas you will also feel some pulling as suction is applied. Despite this, according to 90% of patients, CoolSculpting is a comfortable procedure both during treatment and during the recovery period. CoolSculpting is a non-surgical procedure that allows you to return to normal activities immediately after your procedure is over. When will I begin to see my results? Every Graper Cosmetic Surgery patient is different but some may begin to see changes as quickly as 3 weeks postoperatively. Most Charlotte patients will experience best results about 2 months after the CoolSculpting procedure. Once the fat cells in the treated areas have been treated, they will be gone for good. “When I attended your event in with three friends, we were all very curious about the procedure. I was reluctant to have an invasive procedure to remove my “muffin handle”, I was skeptical about a procedure that promised upwards of a 22% reduction in body fat. It seemed incomprehensible to happen. So I signed up for a consultation the following week. When I look at the “before” and “after” pictures, I am amazed at the results!!! The results were incredible!!! If I had known the results were going to be that awesome, I would have worn sexier undies for the photo shoot!